February in the Canadian Rockies, with chest-deep snow, truly stunning scenery and action red SD40-2's. What more could you ask for? We covered CP's transcontinental mainline between Golden BC and Banff AB through the Kicking Horse Valley, the Spiral Tunnels, over Kicking Horse Pass and down to Banff. Power is mostly SD40-2's with some SD40-2F's (red barns) and some leased power. The Rockies are absolutely magnificent and are right in your face, and Morant's Curve has to be one of the most spectacular locations on the continent. 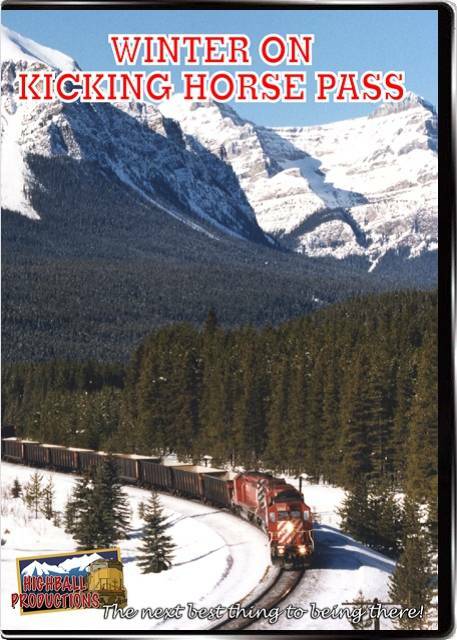 This tape recently received the Canadian Rockies Railroad Museum Foundation award for "Outstanding Achievement in Railroad Video"